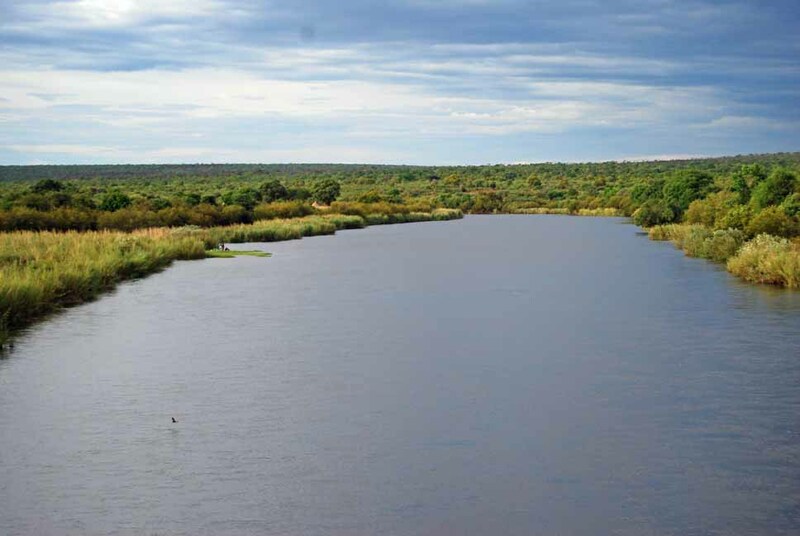 The Okavango River rises in the highlands of Angola and flows over1,000 miles, passing through Namibia before entering Botswana andforming the Okavango Delta, the world’s largest inland delta. Photo courtesy J. Mendelsohn. UPDATE: THIS FIELD TRIP HAS BEEN POSTPONED UNTIL DECEMBER 2011, DATES TO BE ANNOUNCED. 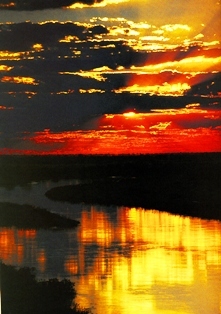 Coming, July 7 to July 16, Okavango Basin Tour driving from the source in Huambo to the Delta in Botswana. This ten day camping trip will be led by Dr. John Mendelsohn, zoologist, birder and joint author of ‘Okavango River – The Flow of a Lifeline’ a book about the Okavango River’s geography and the people that are affected by it. 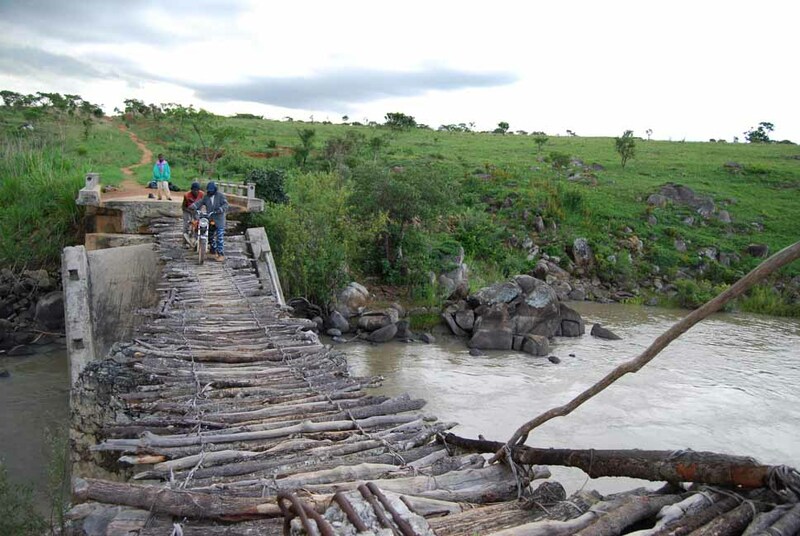 Transport available for hire from Huambo unless you have your own reliable four wheel drive. 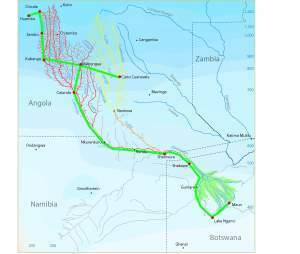 Return to Luanda by road or air (Maun-Windhoek-Luanda). We prefer everybody to be self-sufficient in terms of food, drinks & equipment but exceptions can be made. A fee will be levied if equipment and catering is required. We are just finalizing last details, but if you know you want to do this trip, you can sign up now by sending an email to angolafieldgroup@gmail.com. A small registration fee to secure your place will be required closer to departure date. 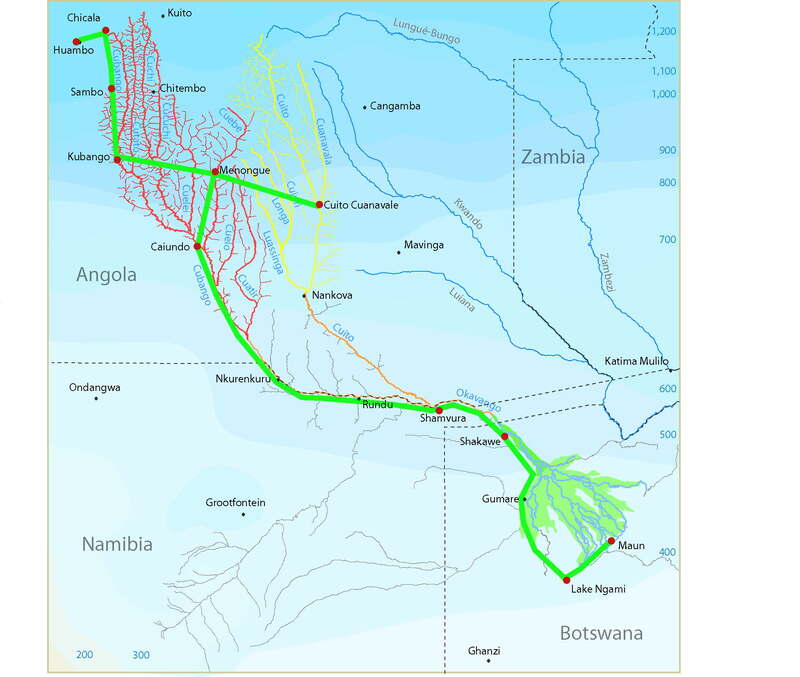 Okavango Basin route. Click on map to see full size. 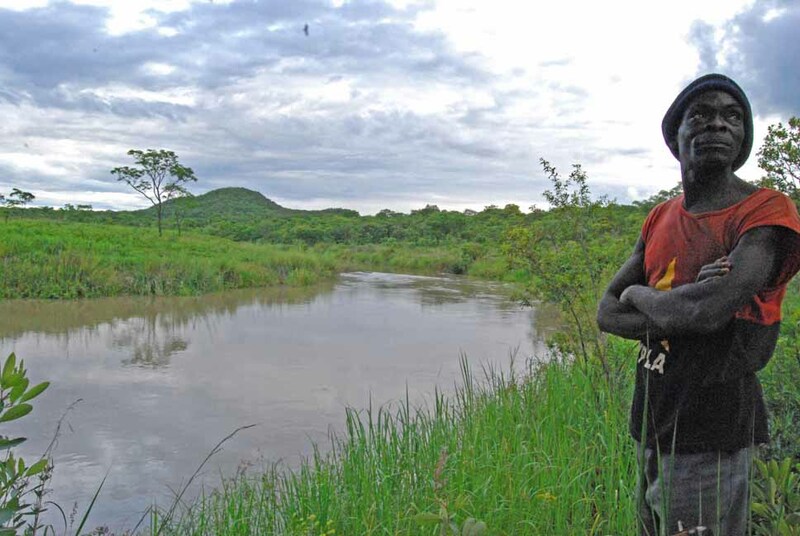 The Angola Field Group invites you to a presentation on Thursday July 31 on ‘The Okavango River’. 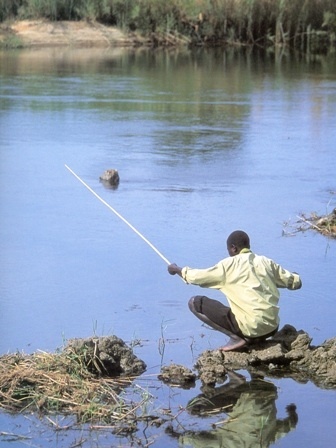 Botswana depends on it, Namibia needs it, but 95% of the still pristine waters come from Angola. What is being done to secure the future of the least human impacted basin on the African continent? 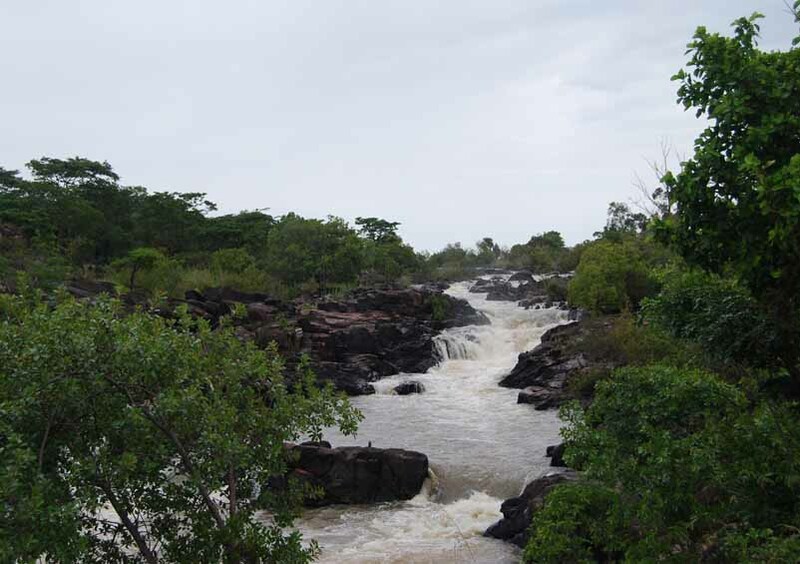 You are all invited to attend this presentation by Chaminda Rajapakse, who works with the Okavango River Basin Water Commission (OKACOM), one of the oldest and most active trans-boundary river basin commissions in Southern Africa. Everybody is welcome to attend this presentation on Thursday July 31 at 8:00 pm. In close cooperation with the Viking Club, this event is offered free of charge. Alcoholic and non-alcoholic beverages are sold at the bar, $3.00 each. Drink coupons available. If you would like to view or download a map showing the location of the Viking Club, please click here.